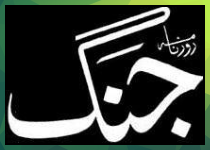 Read today's Pakistani Newspapers' Epaper edition online on Wednesday, April 24, 2019 in Urdu published by major news publishers simultaneously from all major cities now available online. 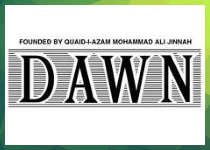 Read daily Pakistani Newspapers online editions known as Epapers now available on Pakistan Times providing one click access to all major Newspapers in Pakistan including Jang, Dunya, Mashriq, Express, Nawaiwaqt, Dawn and hundreds others. 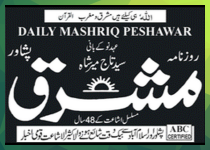 The daily epaper section features top and popular newspapers in Pakistan in digital format. The top Newspapers list is sorted alphabetically as well as by popularity further divided by Urdu and English language newspapers. 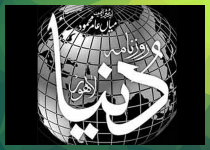 Beside Pakistani Daily Newspapers (Both Urdu and English), Pakistan Times Epapers also features a list of and access to popular weekly and monthly Magazines in the country organized in easily accessible list. 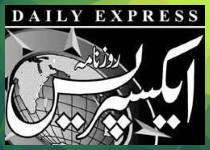 Read daily newspapers' online edition epaper online in Urdu & English on your desktop & mobile devices now available on Pakistan Times Epapers - All copyrights and trademarks belong to their respective owners.